As expert in the yachting industry, NAVIGO has been working for years in the elaboration and management of courses and teaching in the nautical field and combining with the training fundamental components of innovation, concept of modularity and integration of skills with a focus on providing an international vision to its users. NAVIGO activates several training paths, related to two main fields: training to enter into the nautical sector (ENTRY IN THE DISTRICT OF YACHTING) and training for companies belonging to the sector (SPECIALIZED SKILLS FOR COMPANIES). One of Navigo missions is indeed to help and to accompany the development of the training in the world of yachting, creating new specialized skills and increasing those already active. Navigo believes in the training of future professionals of the sea, for this reason it promotes and participates in the elaboration and management of training courses dedicated to those who want to get into the yachting industry, turning to a wide users, from guys who are still in higher education institutions, high school graduates and graduates. Strong point of all courses is the presence of an internship well structured and highly professionalizing, inserted in the working environment of the district. NAVIGO is partner in a project of work-related learning, to improve the training of high school boys in order to better connect with companies environment, strengthening and improving the training of students through the alternation between theoretical lessons and visits to nautical companies of the territory. RE.SI.NA PROJECT – experiential learning project for students of high schools. The Re.Si.Na lab wants to become an educational space available to the various involved Tuscany territories but also to other realities that in the future may show an interest in this tool. The value of RE.SI.NA is related to the flexibility of its use, to the specific nature of the basic instrument used for its creation, a boat, and experiential learning that is the basis of the laboratory itself. ISYL – Italian Superyacht Life. Navigo is a founding member of the Foundation ITS ISYL, founded in 2014 to create a training school for future generations on professionals of the nautical industry. Founded and supported by important companies in the nautical sector (major Italian shipyards and other companies of the industry, trade associations and training agencies, as well as NAVIGO same), to date she has enabled three two-year training courses: SUPER YACHT CAPTAINS AND CHIEF ENGINEERS, SUPER YACHT REFITTERS and L.I.S.T. – Logistic Infrastructures Senior Technician. The course, which provides the title of Senior Technician for the mobility of people and goods, is dedicated to 20 young people who aspire to become captains – professional who controls all aspects of the life of a yacht, managing the crew, all issues related to navigation, harbor time, refit, and much more. Participants in addition to lessons have to play an obligatory period of embarkation on board of a super yacht, where they face all tasks and responsibilities of their future career. SYR is aimed to train 20 young people for professional figure of Senior Technician for Production and Maintenance of Means of Transport and related infrastructure. This figure answers the request of Italian shipyards, which requires highly specialized personnel with technical and technological expertise in the field of Refit & Repair, in order to provide human capital suited to the sector and to the required tasks. The course is a real opportunity to have a generation of competent refitters and with very marked practical skills, thanks to the foreseen period of work experience. With increasingly large megayachts, it becomes important to have professionals who know and can operate both in the field of yachting, and in that of logistics. Projects take account of the peculiarities and employment and training necessities of the territory in which they will be carried out: NAVIGO thanks to his nature and thanks to his role of the nautical subject manager of the Tuscan Technological District, identified the necessities and channeled them in the projects. The project want to train the figure of the Senior Technician for the design and planning. The Senior Technician for the Design and Industrial Design performs activities related specifically to the productive sector of the nautical, that involve general competences and vocational specifications. Qualification Course regarding the installation, checking and maintenance of pleasure boats. The advanced training course with an executive formula (150 hours of lessons + 150 hours of internship – optional, to be performed at nautical and tourist facilities) is for the workers who will work to provide excellence in welcoming customer service, both yacht owners and tourists, in ports and marinas. 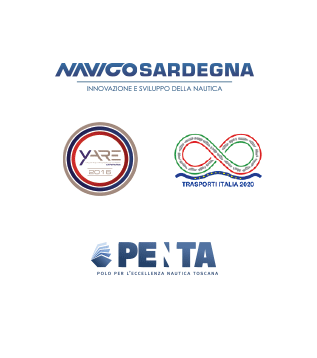 In synergy with Ligurian territory and in collaboration with universities and private sector companies, it aims to describe the interconnections between the phases of design and production of the marine industry, including analysis on the relations to be held with customers and all actors of the production chain. The course wants to train people able to build, assemble, adjust, repair wooden (and other materials) typical elements of a yacht, with a particular focus on the work modularity concept and the used materials. It is produced in collaboration with actors in the education sector and individuals active in the field of research and labor. NAVIGO accompanies enterprises of the district in the enrichment of their own skills and competencies required by the industry, helping them to access to the financed training, with a careful scouting of their needs and ongoing support during the delivery of the training program, also providing for lectures qualified and experienced staff. Used by companies in all sectors to finance training plans for the continuing education of their employees. NAVIGO works primarily on two funds, Fondimpresa and Fondartigianato, in collaboration with training agencies of the territory, helping in applying, supporting them in the management and execution of training courses, offering highly qualified teachers. Both Yachting and Tourism Services Specialist and Project Management – Quality Management for the naval / marine sector master are meant for workers in the nautical industry, so should increase their knowledge in the field of interest and specialize in the field. The Masters in Project Management is designed and structured in unique forms, so you can easily be followed by the workers.